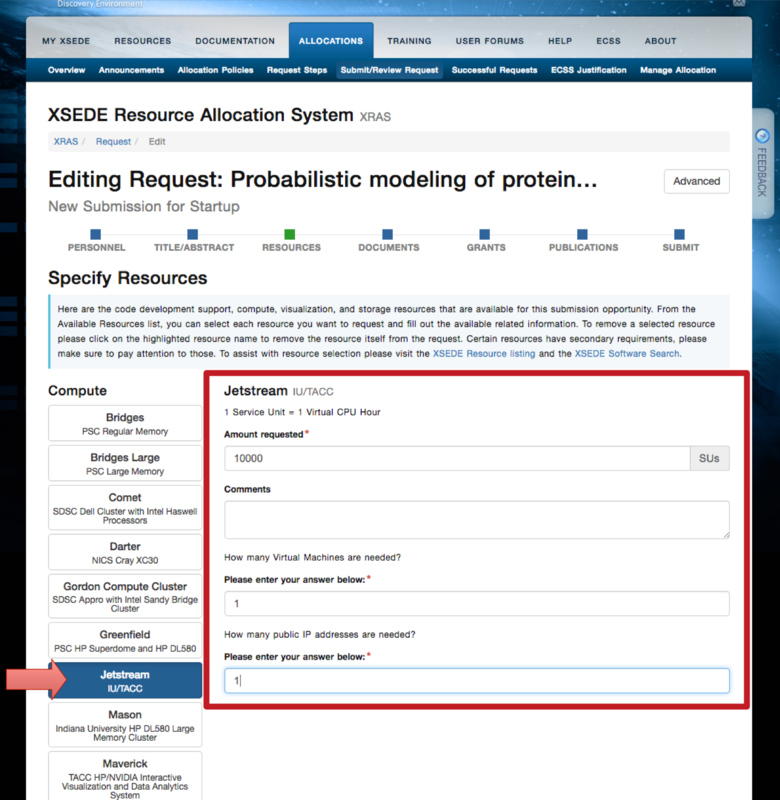 For the time being, it is necessary for each Jetstream user to request a new resource allocation or be added to someone's allocation. 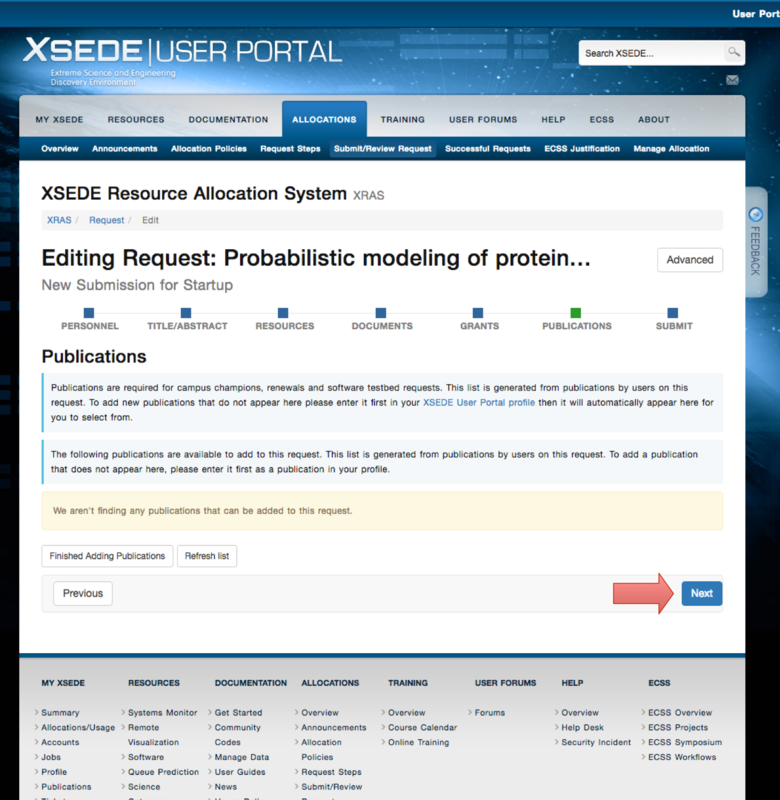 This page covers the process of getting an XSEDE Startup type of allocation. 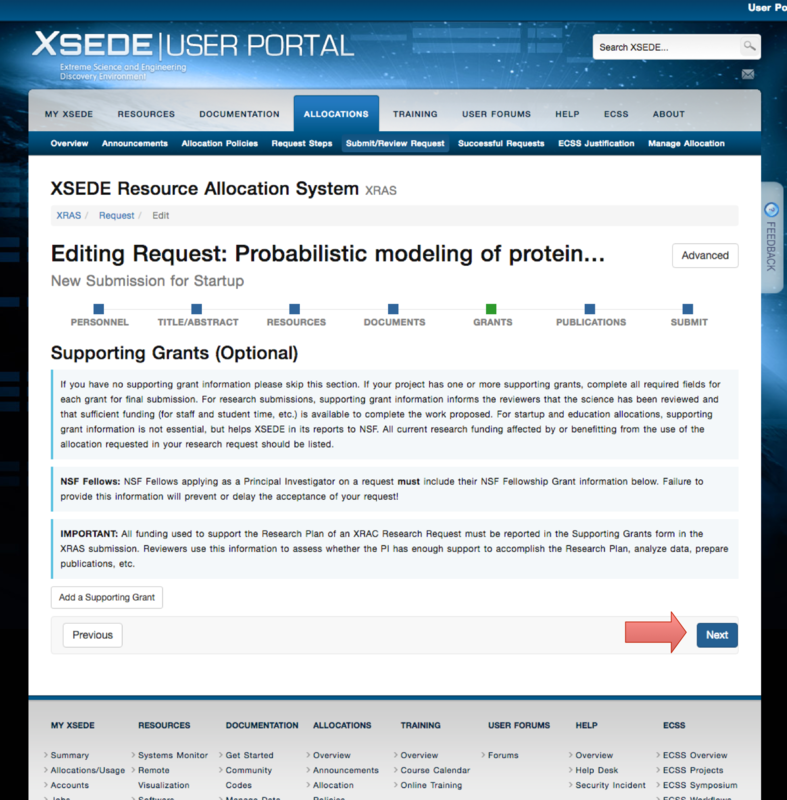 You will need an XSEDE account before you can proceed (visit https://www.xsede.org/ to create one). Start your allocation process by visiting http://jetstream-cloud.org/allocations.php and clicking on Submit and manage allocation requests link. 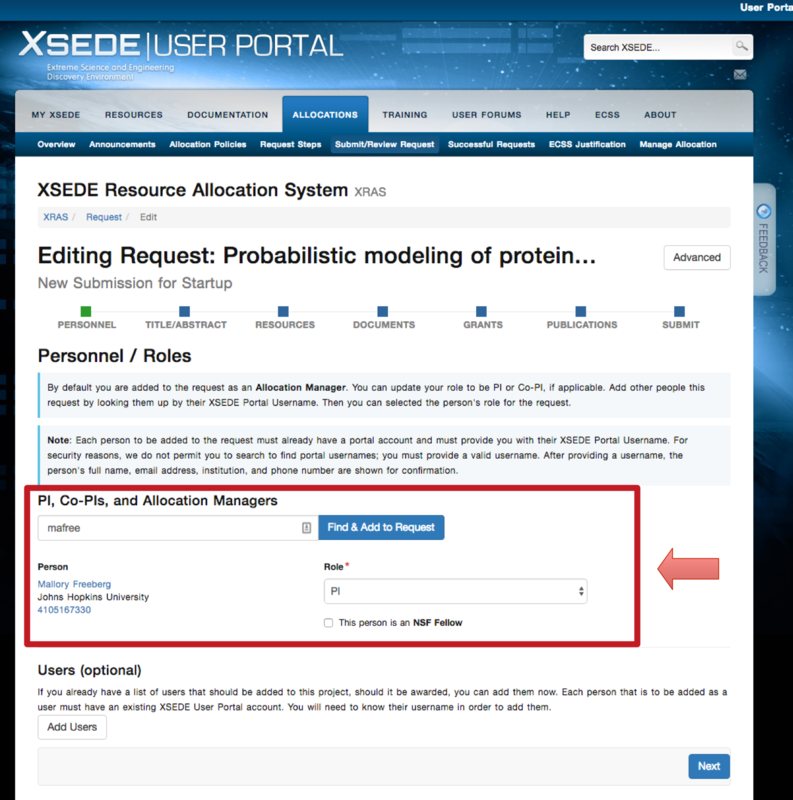 After you logged in using your XSEDE account, choose Startup type of allocation. Next, set your role as a PI and click Next. 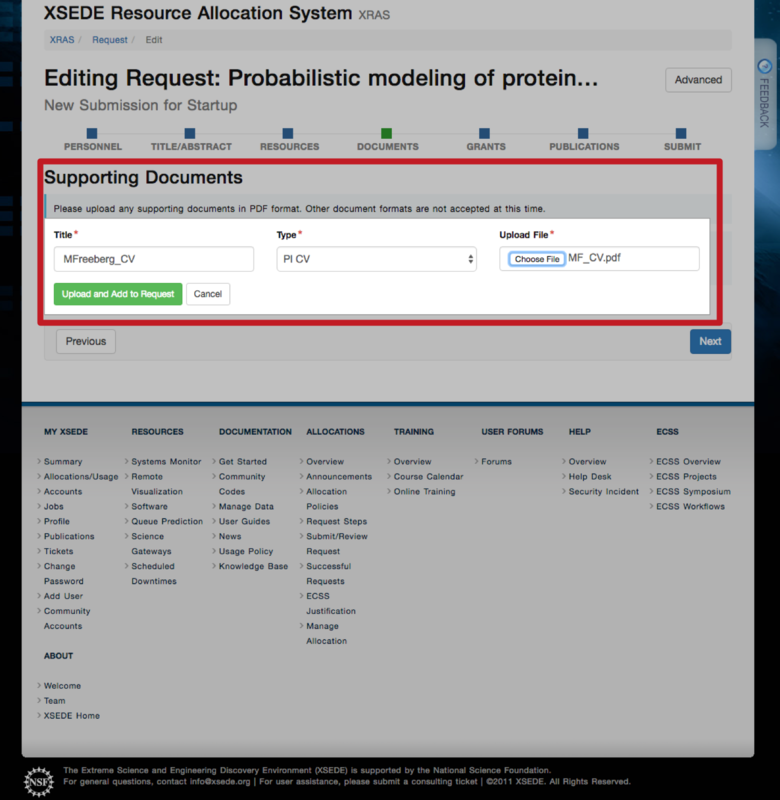 In the next step, you will need to provide a title for your allocation and an abstract about your research. 100 words is sufficient. Choose Jetstream as your desired target resource type and supply your anticipated usage for the duration of the project in Service Units (SUs); projects are awarded on an annual basis so be careful not to forget about your instance left running when not in use. Note that 1 virtual CPU on an Jetstream instance corresponds to 1 SU. So, if you launch a 8 CPU instance, you will be using 8 SUs per each hour the instance is running. So, do some math and try to estimate how many SUs will you need each month. You will also ned to supply your CV. 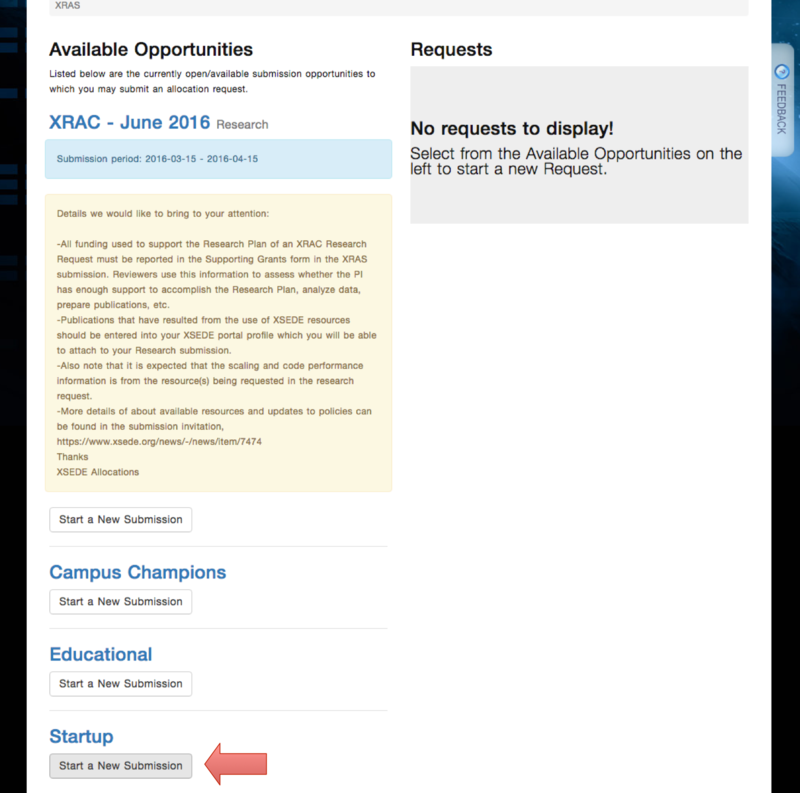 For Startup type allocation, adding supporting grants and publications is optional but feel free to add any. 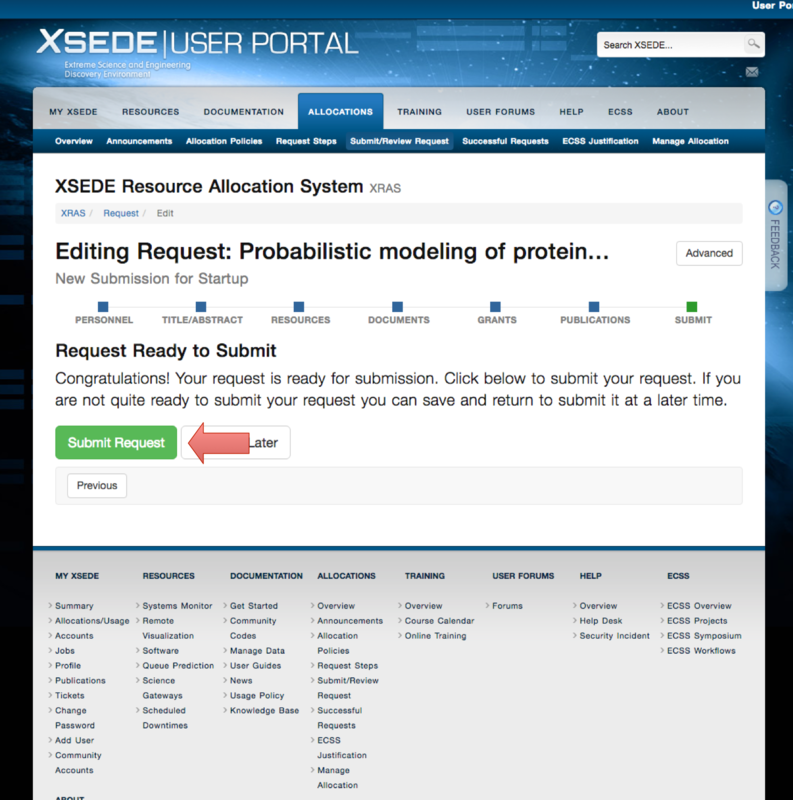 Finally, submit your application and wait approximately one business day for the allocation request to be approved.